Fourty-four smokeless under my head. In case that's not twisted enough for your tastes, the second line as sung by Clarence "Tom" Ashley evidenced a tad more bravado. His narrator "blowed" down his victim rather than settling for a mundane shooting. Ashley's version, first recorded in 1929, provides the template for many contemporary takes on Little Sadie—including our own—even if modern sensibilities make some of its lines hard on the taste buds. Here's a clip from that recording. But then, Ashley's world was not our own in many ways. He travelled seasonally with Doc White Cloud's medicine show from 1911 through 1943, contributing to the good doctor's effort to pedal colored water as a cure-all for a dollar a bottle. 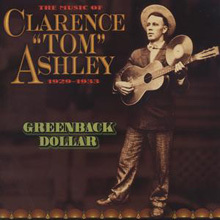 In the early forties, Charlie Monroe—whose brother Bill would later become the Father of Bluegrass—added Ashley to his act as a black-faced comedian. The man, in short, did what he had to do to scrape by in hard times and grab what he could when the world's fist unclenched a bit. If music wasn't providing what he needed to support his family he raised tobacco and cattle, hauled furniture, coal, and beans, and worked in sawmills and mines. When entire cultures are made up of people struggling to survive with every ounce of pluck and ingenuity they've got, the stories they tell are not always going to conjure up pretty pictures or have happy endings. In Clarence Ashley's time and place—as in so many others—one expression of that darker creative impulse was the Murder Ballad or Bad Man Ballad. 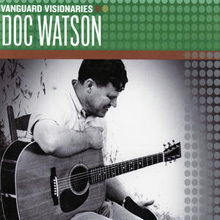 Doc Watson was born into a world of many such songs and over the years he has recorded several (Omie Wise, Banks of the Ohio, Tom Dooley), including this one. Doc played guitar on Ashley's come-back recordings when, after decades out of the music business, the latter was lured back into the studio in the early 1960's. He may well have learned Sadie from the elder banjo player. We're following Doc's lead by transposing the song from Ashley's Gm to Dm; but where we're using a G chord toward the end of the chord progression, Doc uses the V7 chord, A7. Audio Clip: Doc Watson playing Little Sadie. 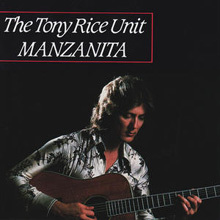 Other versions of the song are played and sung in a major key and, if for no other reason, seem to owe little to the Ashley template. It's hard to deny, though, that songs such as Bad Lee Brown (sung below by Woody Guthrie) and Cocaine Blues (as performed here by Merle Travis and later by Johnny Cash, then George Thorogood And The Destroyers) share source material with the song we play as Little Sadie. One way to deal with the discomfort we experience when confronted with the Shadow in a murder ballad is to render it farcical. Think Casper The Friendly Ghost. Better yet, think of the Cisco Houston / Lee Hays retelling of Sadie's tale under the title Badman's Ballad. In this rendering it's a deputy that gets whacked on account of the narrator "feeling kinda mean". I dare say. Still, it's hard to conjure up a proper sociopath through the fog of oohs and ahhs of The Kingston Trio's sprightly rendition. They called it Badman's Blunder, and yeah, that's about what it sounds like to me, too. 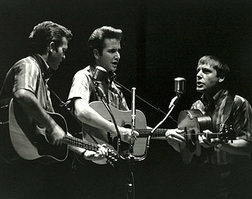 Audio Clip: The Kingston Trio perform Bad Man's Blunder.